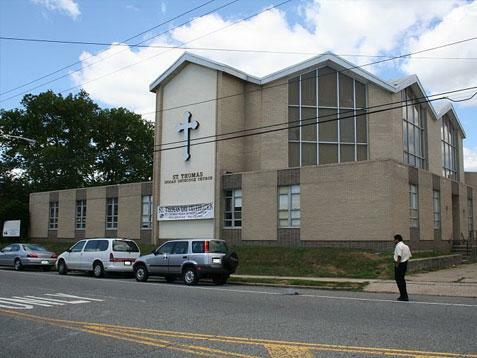 This parish has been in existence since 1976 and serving a group of immigrants and citizens of Indian origin. We have been involved in social, humanitarian and spiritual activities to educate and edify the people to be responsible citizens. Our children are brought up in discipline to work hard and support this country the best way possible. Our members are serving the U S Military and one of our members participated in the Iraq War and another member in Afghanistan. Also we instruct our members to strive for achievement through the right education and generous volunteerism. Various activities for different age groups such as Sunday school, Student Movement, Youth Movement, Ladies Forum, Couples Forum and Men’s Forum are in full swing. In addition, we are engaged in different interdenominational and social activities that bring amity and understanding in the society. We were successful in initiating various humanitarian activities. We were able to raise more than $10,000.00 for the victims of Katrina. For the Victims affected by the Tsunami, we were able to raise more than $15,000.00. We had raised $10,000.00 towards the 9/11 World Trade Center disaster fundraiser and donated that amount to the Philadelphia Police and Fire Service Welfare Association. We also did monetary help to North Dakota flood victims and Gujarat (India) earthquake victims. Every year we spend approximately $40,000.00 towards various charities in the USA and in India. This includes help for education, marriage aid, house construction, church buildings, medical aid etc. Our parish did undergo some metamorphosis as time passed. Many other parishes also came into existence during the course of time. In the year 1996 the parish took a new direction in its life taking a vow to follow the Lord as much as possible in practical life. The decision to forget the past and establish a very cordial and cooperative relationship with rest of the Orthodox/Non-Orthodox parishes brought a new light in the minds of the people. Thereafter we could see a new impetus and zeal in the minds of the people to walk in the path of the Lord. Our attempt for our own worship place was a distant dream as were very few in numbers. Moreover most of the members are in the lower middle class group. But our determination and sense of unity worked miracles which indeed was the biggest blessing from God. In 2004 October we acquired the present facility which is very spacious. New members keep on joining our parish. We are trying our best to bear witness to the love of Christ through our parish.